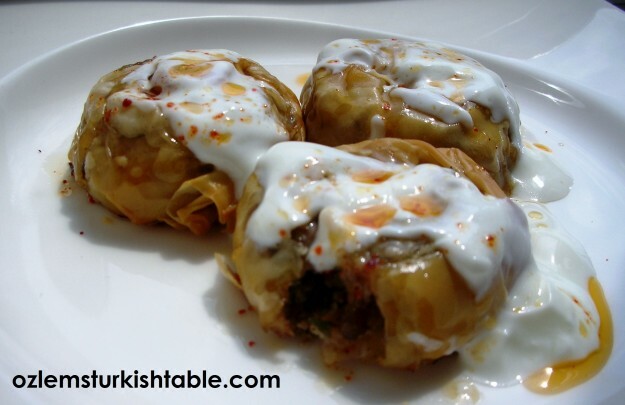 Gul Manti – Turkish Rose shaped ravioli, very delicious with garlic yoghurt. Manti was a central dish in the 15th century Ottoman cuisine. 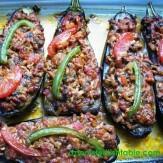 A very popular dish, it was cooked in imperial kitchens and was eaten by Sultan Mehmet II almost daily. This version of manti, traditionally made with “yufka”, the fresh pastry sheets, is a popular one at home. These manti are named for their appearance, as it looks like the shape of rose. They may seem a little awkward to make but look so attractive that the extra effort is worthwhile. If you replace the meat with a vegetable of your choice, (for instance, mushrooms or eggplants would work well), it would also make a very impressive vegetarian main course. 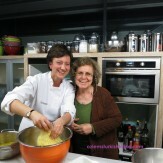 Rose ravioli is a great dish for entertaining and I like to serve it with a leafy salad or steamed vegetables. It is the asparagus season at the moment and they go very well with the rose ravioli. 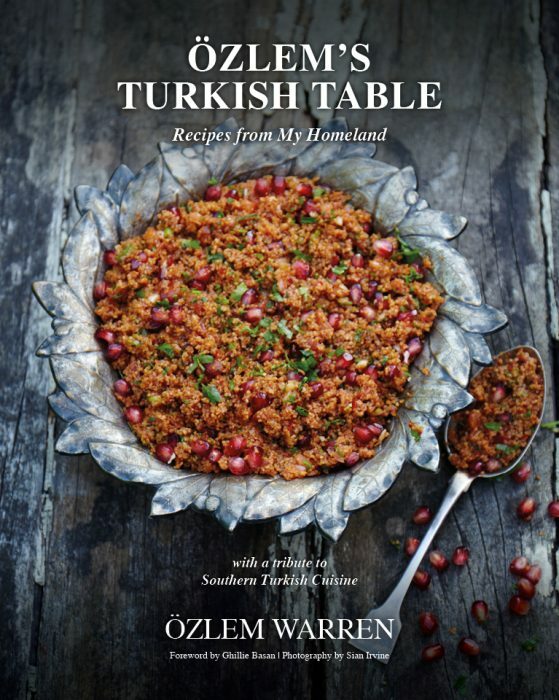 Ozlem’s Turkish Table Cookery Book – on its way! 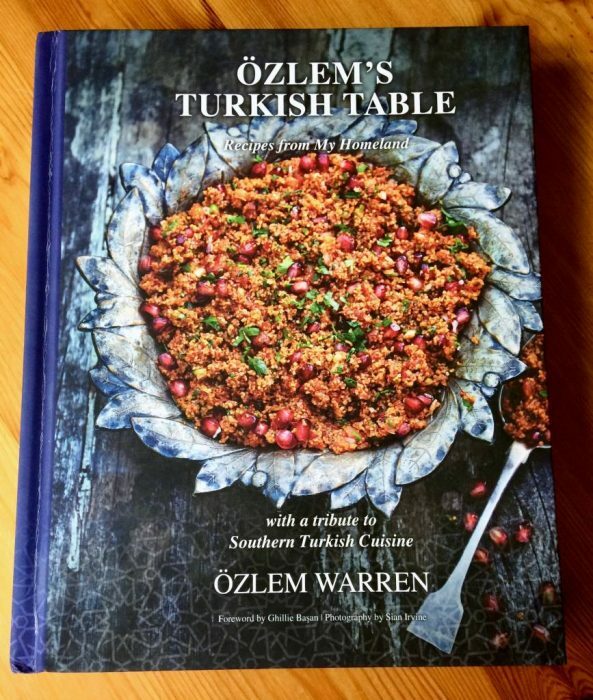 Savoury pastries and boreks are an important part of Turkish cuisine and I have a special chapter for savoury pastry at my Turkish cookery book, Ozlem’s Turkish Table, Recipes from My Homeland, available to order (with worldwide delivery) at this link. For best results, thaw the frozen filo pastry in the fridge overnight and bring it to the room temperature 2 hours before using. That enables the filo thaw completely. 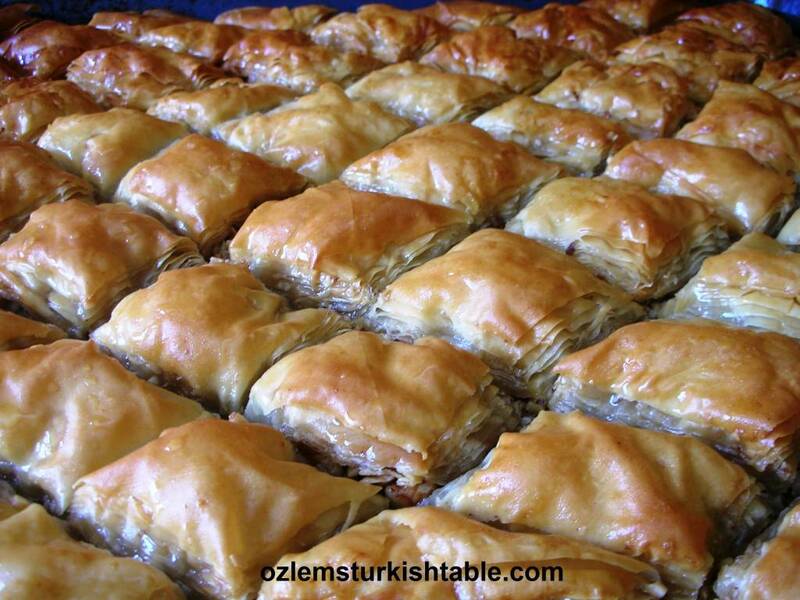 If it is sold fresh as in the UK, you only need to bring the filo to the room temperature 30 minutes before using. Sauté the onions with some olive oil for a couple of minutes, until soft. Add the ground meat and the garlic, cook for 3-4 minutes, until most of the liquid is evaporated. Stir in the tomatoes and gently cook for another couple of minutes. Season with salt and pepper, add the parsley and mix well. Set aside to cool. 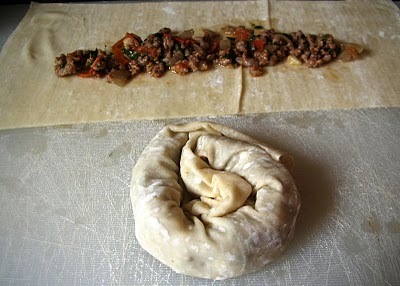 On a dry surface, place 2 filo pastry sheets on top of one another and cut in half horizontally to form two rectangles. Place 1 tablespoon of the meat mixture in the middle and roll like a cigar. Then, starting from one end, roll the cigar shape into a rose shape sealing the end with a little water. Make sure you seal all the openings/cracks with a little water. Repeat this with all rectangles. Brush the gul manti with a little olive oil and place them on a greased tray. Bake in the oven for about 20 – 25 minutes or until golden. Take the gul manti out of the oven once they are golden brown. 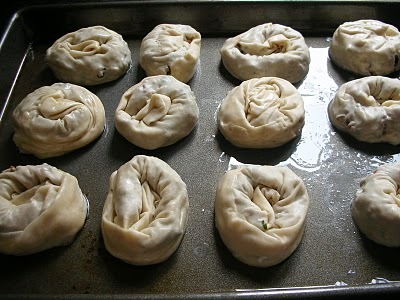 Then place a dessert spoonful of stock on each hot manti and put in the oven for another 5 minutes to soak up the stock. The finished rose mantis should be nice and crispy outside and moist inside. For the garlic yoghurt; whisk together the yoghurt and the crushed garlic until smooth and creamy. Put this mixture in a heat resistant glass bowl and put this in a pan of hot water for a couple of minutes to luke warm the garlic yoghurt. For the red pepper infused sauce; melt the butter (or gently heat the olive oil) in a small pan. Add the red pepper flakes and mix well. Place the hot rose ravioli (gul manti) on a serving dish. Pour the garlic yoghurt over it first then dribble the peppery sauce over the garlic yoghurt. Finish the dish by sprinkling dried mint over it and serve immediately. Note:1) Fillo pastry dries out very quickly and becomes unworkable. To prevent this, keep the pastry sheets under a damp dish towel, and only take out one at a time. Also, cover the manti you prepared with damp towel until cooking. Any left over pastry can be rolled up, sealed in a freezer bag and kept in the freezer. Özlem hanım;web sayfanız çok güzel,tariflerinizde öyle,zevkle geziniyorum.Ellerinize sağlık. 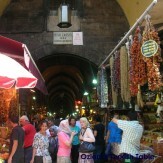 Hey ozlem I like ur page about Turkish cuisine. I have a question though, what kind of phyllo pastry have u been using? Can you share the brand and the features of it with us? Merhaba, thank you for your note, I am glad you’re enjoying my page. Re pyhllo pastry, I used the brand Apollo in the US, in the UK, they are sold in the fridge, not frozen, hence easier to manage, Sainsbury’s own brand is pretty good, hope this helps.